Following some of the excerpts that made it online yesterday, we now have the full column from Super Smash Bros. 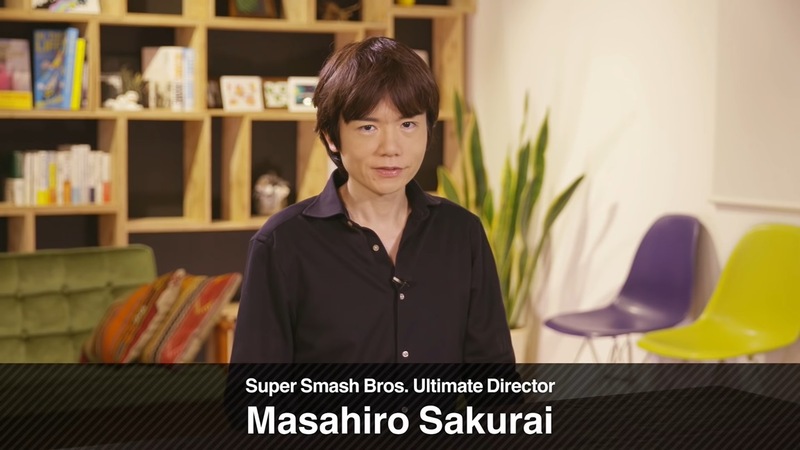 Ultimate director Masahiro Sakurai that was published in this week’s issue of Famitsu. We did cover quite a bit of this last night, but there are a few extra statements with Sakurai discussing how Incineroar was chosen for the game and more. The Smash Direct broadcasted on November 1st is to be the final direct before Super Smash Bros. Ultimate‘s upcoming release. Still, it’s as if we managed to include what seems like too much content for one game. I think I’d like to go ahead and try my hand at summarizing everything from the direct from the “planning” and “development” perspectives. When planning began around December of 2015, I had resolved that I had to have all kinds of fighters in the game. Generally, though, I can’t really add a character from a game that hasn’t come out yet to the roster… So, I left one character frame open for Pokémon, and after Pokémon: Ultra Sun and Ultra Moon came out I took another look at it. That resulted in Incineroar being chosen. I wanted to try making a pro-wrestler type character at least once! Incineroar is voiced by the late Mr. Unshō Ishizuka – of Professor. Oak fame – who passed away back in August; he had recorded new lines just for this game. May he rest in peace. We will be releasing amiibo for all of the fighters that didn’t appear in the last entry in the series. However, producing them takes a considerable amount of time – it takes about a year to produce them from the prototype. As such, I think we have to keep you waiting until they’re ready to be released; apologies and thank you for your patience. During the planning stage, I had decided on getting rid of the trophy collecting element of the game fairly early on. It felt a bit rash to continue doing so than it originally did, given all of the fighters that have been included up until now. I felt that it would be best to divide my strength among other aspects of the game; making the trophies took quite a bit more effort than people might think. I think that “Spirits” – which one could say is Smash Ultimate’s biggest theme – will be easier to understand once you’ve played it. As such, I’m not really going to touch on it until after the game is released, at which point I’ll try to summarize the mode’s design, etc. From this, though, we were able to collaborate with a surge of titles we haven’t been able to collaborate with before! Thanks again to all of the other creators that helped make this possible. Matchups are primarily based on three factors: preferred rules, Global Smash Power, and proximity. In previous works, as fighting games, we boasted both asynchronous and synchronous communication for matches; in this game, matches will be completely synchronized. If there’s no signal from either end, the match will “freeze” so that neither player can do anything no matter what. Proximity is the top deciding factor. Only players with high skill levels will be able to participate in Elite Smashes. There are quite a few merits to this that immediately come to mind: Smash veterans can enjoy true battles, as this prevents them from being pitted against beginner players. Think of the bragging rights, too! All of these features will probably lend a bit of authenticity to the “balance” that elite players might be expecting. From the production and contractual perspective, developing the title to accommodate multiple languages was easier said than done; this time, however, we’ve managed to support 11 different languages! We are developing the game to be played anywhere in the world, though, so we felt that this was for the best. For those who purchase the game early – and others – we’re including Piranha Plant as a fighter! The game is basically finished, but we’re still working on adjusting Piranha Plant since he’s such a unique fighter. It’s obvious that he stands out from the crowd, so I recommend that you all pre-order the game! Did you see him in the game’s “Adventure Mode” cinematic? He obliterated the entire cast with beams of light in one fell swoop! If the opportunity presents itself, I’d like to write more about this mode bit by bit, but there’s just too much to say about it! The game’s release date is getting closer with each day though, and the game is – as I said – essentially done. I think it’d be best for everybody to just play the game directly after it comes out. Enjoy, everyone!